One of the most important things you can do for a fluid move (and for your own sanity) is to plan the move ahead of time. Doing this ensures that you maintain as much control over what is, by nature, a very chaotic day and it helps to stay on top of all of the little things that often get forgotten about during a move. 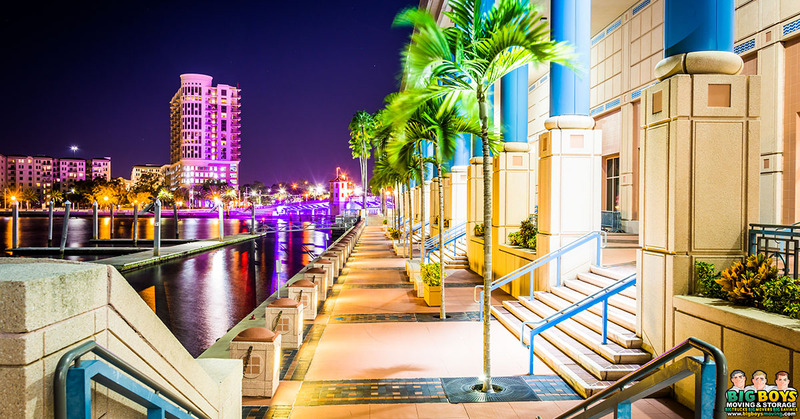 To help you when you’re planning on moving to Tampa Florida, we’ve put together a list of tips to help to keep you on track! If you are traveling from out of state or over a longer distance and know that you are going to have to stop overnight, determine a feasible stopping point and book a hotel room in advance. If you have a long traveling distance, make sure to plan your time generously and to account for any possible delays in traveling. Be aware of any local events or national holidays that are taking place while you are traveling as these can delay traffic and cause business closings. When moving to Tampa Florida from out of state (or even across the country!) we know that it’s important for you to save money and not book space on a moving truck that you won’t need. With that said, however, make sure that you allow enough space for any incidentals and items that you may have forgotten to account for when planning your move. Moving can be expensive, particularly if you are moving to Tampa Florida from another state, but it’s important that when you cut costs, you cut costs sensibly. For example, don’t cut your moving costs by choosing a moving company that doesn’t carry the proper insurance and bonding coverage. Doing this will cut down on your immediate moving costs, but it could end up costing you far more in the long-run! Instead, why not consider what larger items you can sell before moving so that you require fewer moving trucks? Cutting costs is a necessary part of any move, and any professional moving company understands that, but just make sure that you’re not costing yourself more money in the big picture by cutting costs where you shouldn’t! Don’t Forget to Set Up Your Utilities! Often times when we arrange a move, we can forget the important things like setting up utilities so that when we arrive at our new home, we have running water, electricity, and gas (if needed). Sometimes these things can just slip your mind and other times – if you’re moving to an apartment – we assume that they will be turned on for us, but this isn’t always the case. So always be sure to contact utility companies for your new home and have your utilities activated a day or two before your move. Whether you are moving to Tampa from the U.K, New York or Miami Beach, always stay in contact with your moving company! If you have run into expected delays, make sure to let them know as far in advance as possible, if you have questions about the move that they can answer don’t hesitate to give them a call, and if you need to utilize their storage facility (take note that not all moving companies offer storage facilities as we do here at Big Boys Moving and Storage) contact them as early as possible to be sure that there is one available for you when you need it. 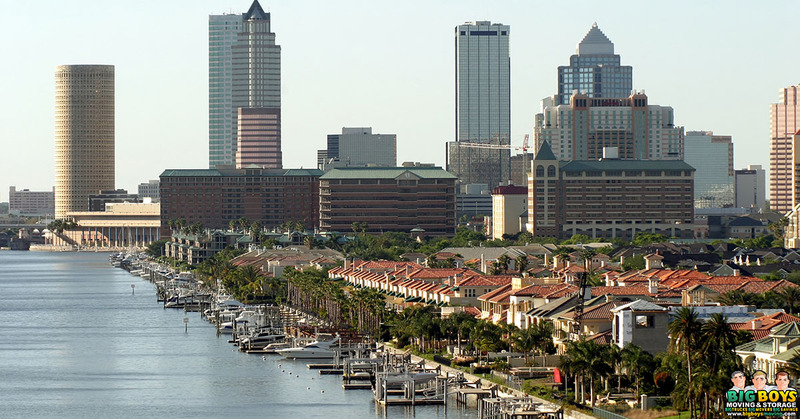 When Planning your move to Tampa, consider all of the options available to you so that you don’t spend more than you have to on the moving process. For example, here at Big Boys Moving and Storage, we offer a range of moving services to make moving an affordable experience for everyone! We have full-service moves for those of you who work long hours and can’t find the time to pack, we have labor only moves where we just do the heavy lifting, we have storage units (as mentioned above) so that you can take advantage of the moving days with the best rates, we help with moving pod moves…we can help you with anything you can think of when it comes to making your move, so just give us a call if you’re not sure what you need and we’ll help you out! Ready to Start Moving to Tampa Florida? If you’re ready to start moving to Tampa Florida but are still looking for a reputable moving company to help with the transition, give us a call! Big Boys Moving and Storage is a fully licensed, insured, and bonded moving company and we have a reputation that speaks for itself – we don’t know any other company that’s won the title of Best in the Bay for ten years running!